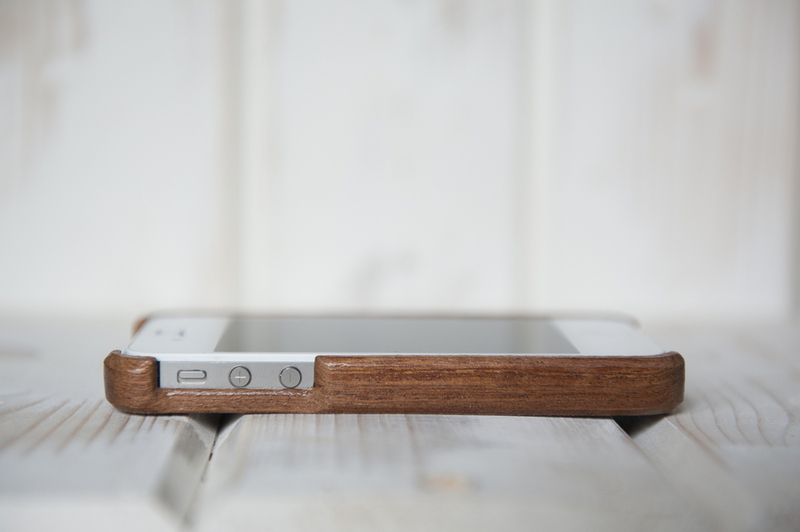 Donal Moloney of Carve Cases makes iPhone cases, USB keys and wallets out of wood. He once even made a wooden bicycle. He has never seen Star Wars. How did you get into woodwork? Has it been a lifelong passion? I wouldn't say a lifelong passion, but it has been a lifelong presence and appreciation. I picked up the interest from my dad. He's an architect and a very hands on maker. I remember when I was young, any work in our house was done by him. He's pretty skilled in most areas of making, but he is particularly good at woodwork. He built wooden storage units, a fireplace surround and a shed all from scratch. There wasn't the easy access to flat pack DIY kits like there is today. Everything was done patiently and skilfully. I remember every time work or repairs needed doing, asking "when is the man coming to do it?" The man was already there. Watching him allowed me to think that I could make anything I wanted, without any problem. What are the joys of working with wood? When I started out it was the smell of freshly sawn wood. But I don't get that any more; I think I'm immune to it. The greatest joy is the sense of satisfaction of completing something. Generally a lot of design and planning time will have gone in to it, so it's nice to see it all come together. Simple, clever design that I see anywhere. It doesn't necessarily have to be a wooden piece. I love modern architecture. A lot of woodworkers add embellishments purely because they can. It shows off their skill. But I think there is a greater skill in refining your work. I hate seeing embellishment added, trying to copy older designs or replicate traditional pieces. I hate the idea of trying to make something into something it's not. What's the oddest thing you've crafted out of wood? Nearly everything we make at Carve Cases seems a little strange to be made from wood; iPhone cases, USB keys and wallets are all kinda odd. I once CNC machined a frame from solid ash for a prototype wooden bike. Two extremely exciting projects. Unfortunately neither of which I can give details about until the products are released. One is a project for a client involving music. The other is an in-house project that is really only in it's infancy. It's way too early to say anything about it. Sing us a song, any song (one that gets you in the creative mood). "I wanna be near you and blink in your light, and toast marshmallows on a cold, dark night". Flame by Bell X1. ...seen a single Star Wars movie. I have never been 100% happy with anything I've ever made. I have never been outside Europe. My cycling training plan, iPad mini, a jar of coins, an Ikea lamp and plenty of dust.